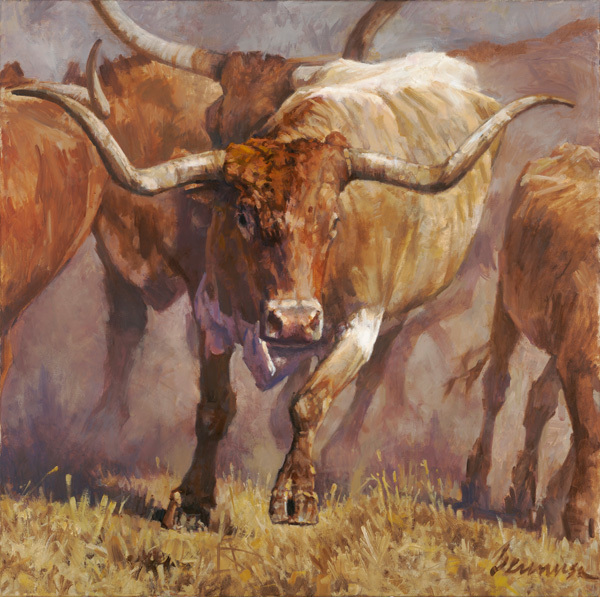 Ragan Gennusa paints some of the best longhorns coming down the trail. This month, "Tex" is headed your way. In a pasture filled with the sound of thundering hooves kicking up the dust, "Tex" leads the herd. This amazing longhorn almost leaps off the screen as it runs toward the viewer.